Ancient Egypt’s King Sneferu already began the two largest buildings the world had seen so far, but his best was yet to come. The Red Pyramid at Dahshur was the first true pyramid, with straight edges. It was also the last step on the road to the Great Pyramid at Giza. The Red Pyramid is one of the most under-appreciated buildings in the world. 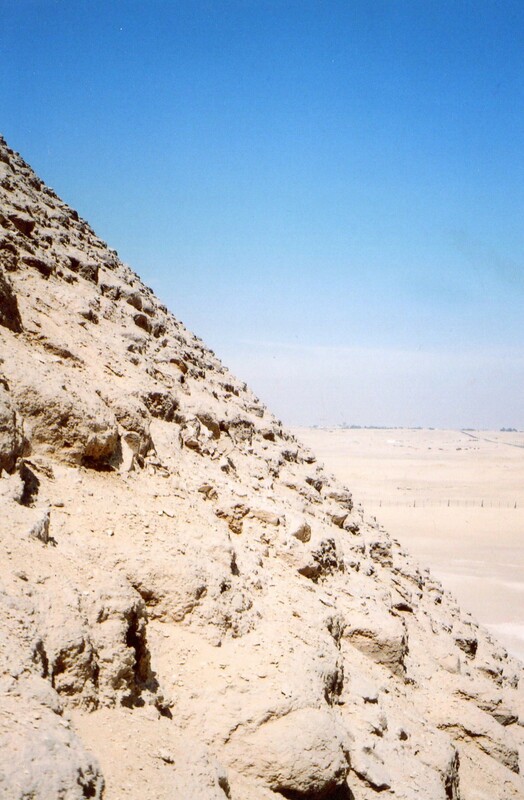 You can read about the steps that Sneferu took before building it at The Road to Perfection in Ancient Egypt; The Bent Pyramid at Dahshur, or you can start climbing right here. 1.Sneferu’s builders got it right this time. Instead of miscalculating like they did at the Bent Pyramid, they constructed this building at the same angle of slope from start to finish, 43 degrees. It’s not as steep as the 52 degree rise of Khufu’s Great Pyramid at Giza, but has a gentler that some people find more elegant. 2. 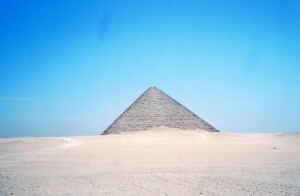 The Red Pyramid soars to 345 feet. Built before the Great Pyramid, it was the greatest structure made so far. Imagine how awestruck people were when they saw its perfect and simple form rising directly from the desert with no precedents. This form became a model for the pyramids at Giza, and for much ancient Greek thought. The Red Pyramid was the first huge embodiment of it. 3. The entrance is high–almost 1/3 of the way to the top. 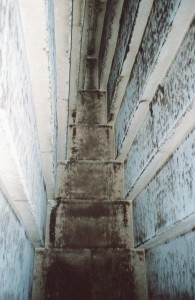 Steps have been cut into the pyramid in modern times to make the ascent safe. 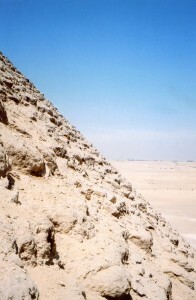 At the earlier step pyramid of King Djoser, the burial chamber was underground. But Sneferu raised the chamber so it’s within the pyramid. The builders of the Great Pyramid at Giza followed this custom. Mark Lehner writes that this shift might have been an attempt to put the Pharaoh closer to the sun–an afterlife penthouse. 4. 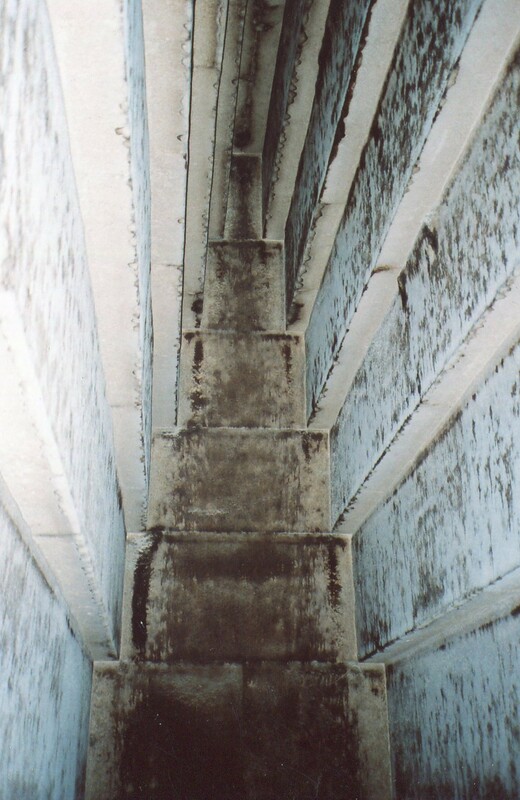 You traverse a narrow 200 foot long passageway that descends at a 20 degree angle. Then you enter two antechambers. You come to the burial chambers last. All three rooms have corbeled ceilings that rise about 30 feet. Their steep and clear forms were so elegant, that I sat on the floor for about 20 minutes and admired them. This model of perfection entranced me so much that I didn’t mind the strong ammonia smell. 5. 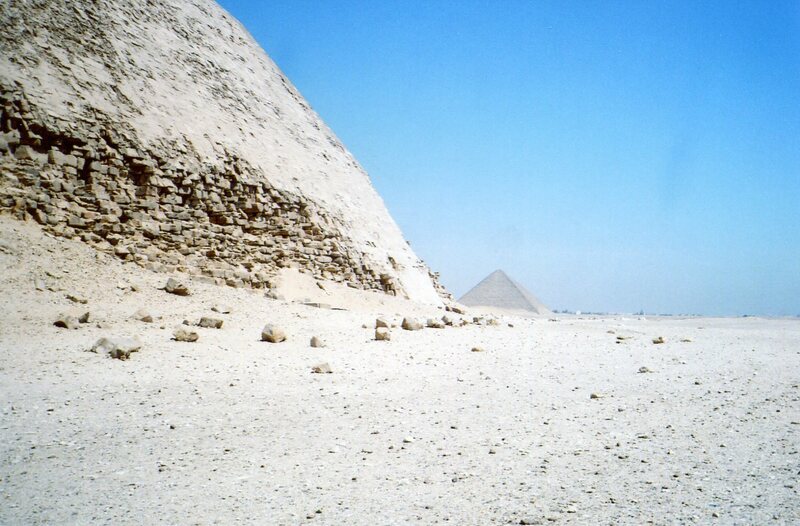 King Sneferu was probably buried here (some scholars think he was buried at the Bent Pyramid). After constructing three huge pyramids, and putting more mass into buildings than any Pharaoh in Egyptian history, this man in search of perfection found a home. 6. You can see the Red Pyramid from the Bent Pyramid, and vice versa. These models of perfection and order thus make inspiring parallaxes as you walk around. The Pharaoh’s soul became eternal in his pyramid, and his spirit ensured Egypt’s security. 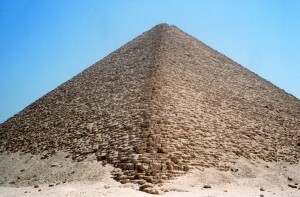 Now that multiple pyramids were built, perspectives of cosmic and social order were more compelling. The whole area granted an endless variety of scenes as people gawked at the monuments from different angles, and at different times of day–their colors change as the sun rises and sets. What could be more awe-inspiring? Most pyramid tours don’t stay long enough to let you see more than a sliver of their full glory–lingering at Dahshur, Saqqara and Giza, and going to each multiple times is a must!